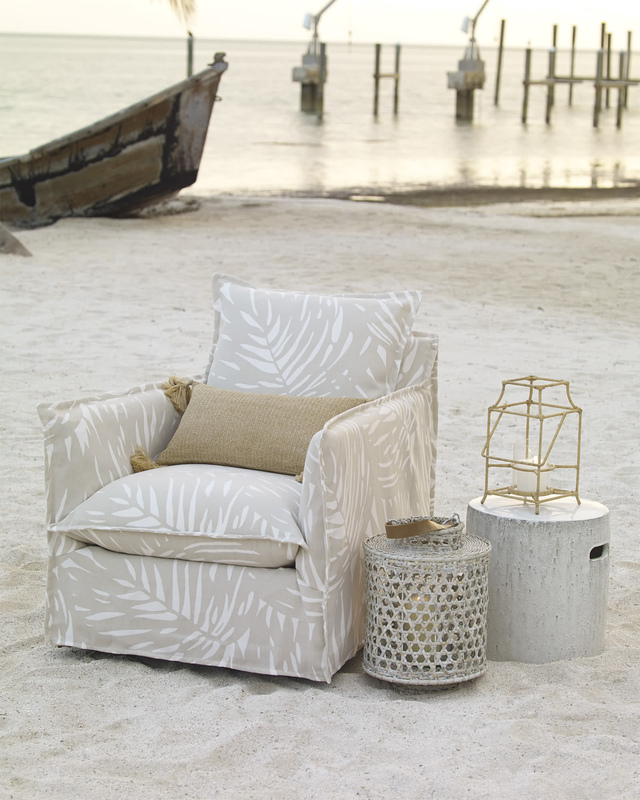 Sundial Outdoor Chair - PalmSundial Outdoor Chair - Palm, Sand alt="Sundial Outdoor Chair - Palm, Sand"
Print One of our favorite outdoor chairs for so many reasons. 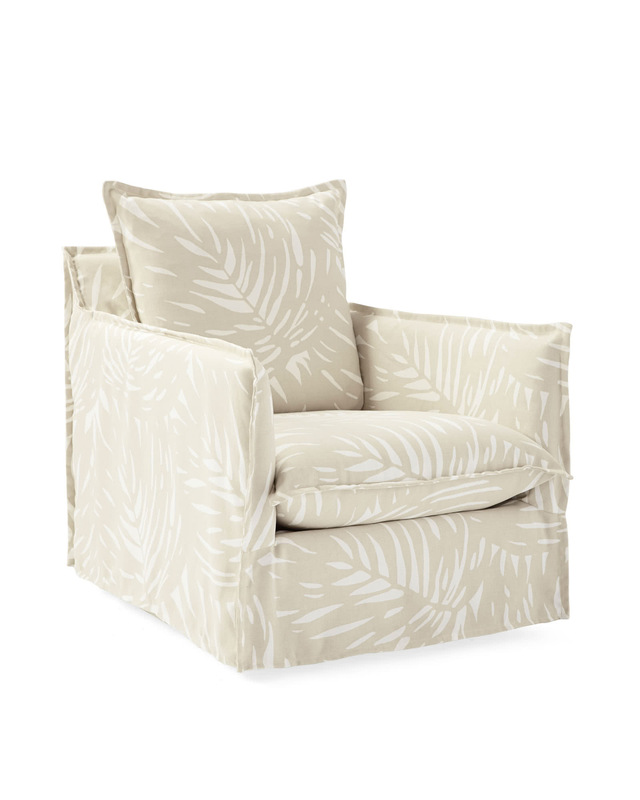 The shape is fabulous, it's beyond comfortable, and it swivels on a dime. But what really sold us is the impeccable design. 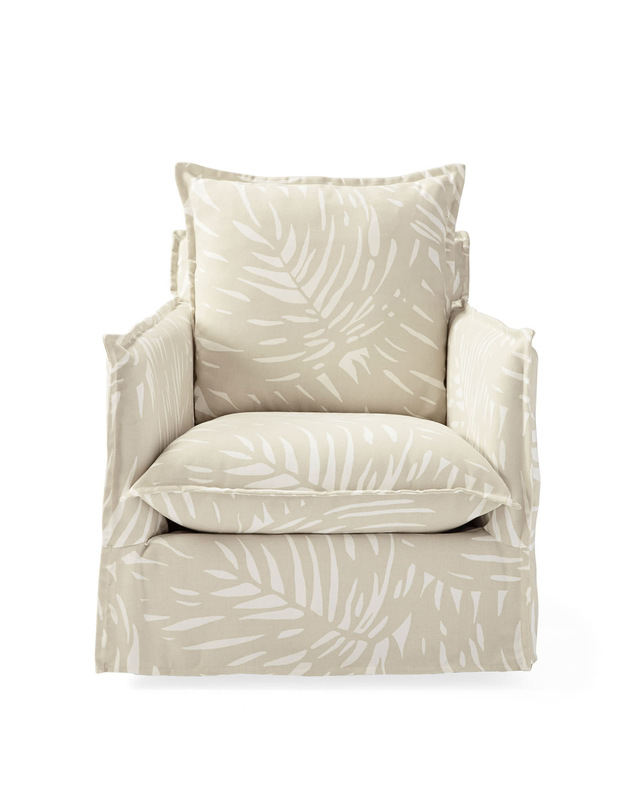 Everything about the craftsmanship is focused on weathering the elements without losing a stitch of style – from the outdoor-grade birch frame to all-weather slipcovers featuring a scaled-up version of our iconic palm print for a lush, tropical vibe. Solid wood frame made of outdoor-grade, sustainable birch. Assembled with waterproof adhesive, stainless steel staples and stainless steel fasteners. Seat deck slopes to the rear with a drain built into the frame. Hidden base with steel ball-bearing mechanism for a smooth, 360° swivel. 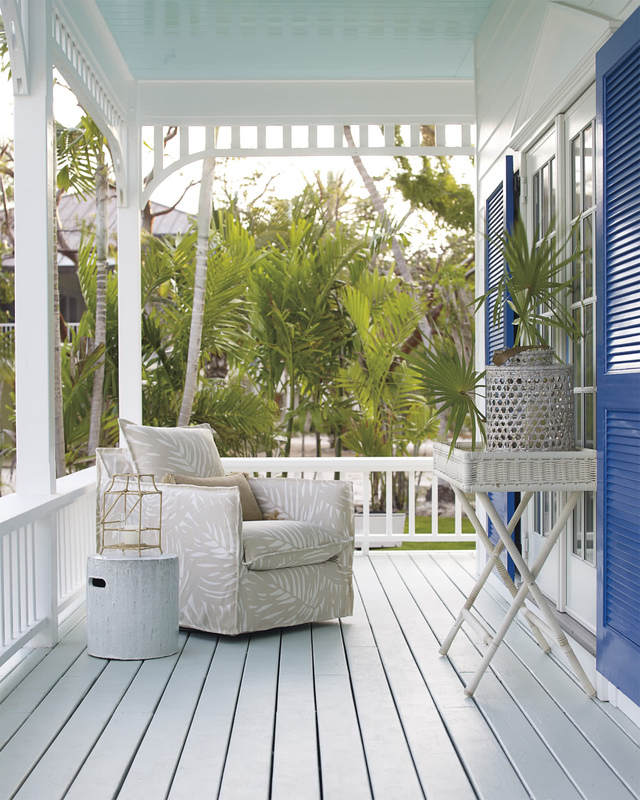 Mildew-resistant seat deck and cushions made of an open-weave, breathable fabric. Back cushions and pillows filled with recycled fiber in a waterproof ticking. Customize the look with our all-weather fabrics. Printed on 100% polyester basketweave that is designed to resist UV radiation and water. To wash, remove the slipcover and wipe with a sponge. (We recommend using about 2 oz of mild detergent for every gallon of water.) Rinse thoroughly and allow to air dry. 31"W x 39"D x 35"H overall.